Pink is my favorite color and I love pink in food too. I’m glad that it is the season for strawberries. 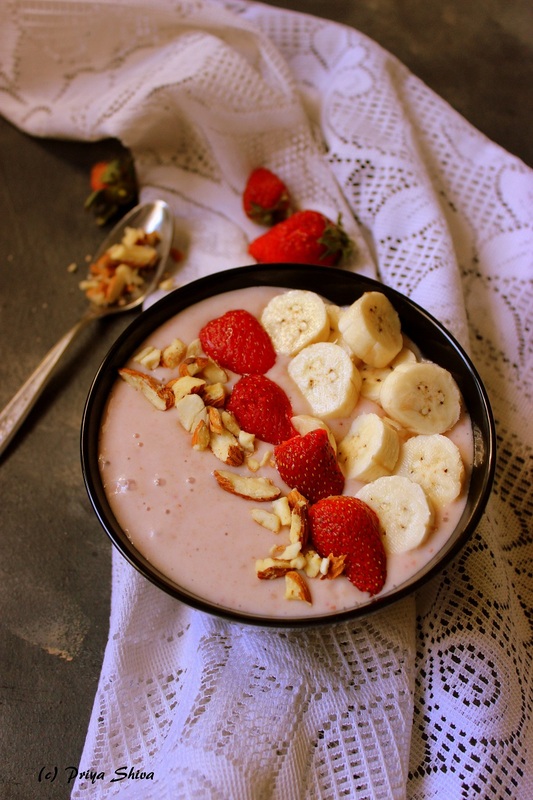 So, I could start my day with something pink today with this healthy Strawberry Oatmeal breakfast Smoothie Bowl. I’m a breakfast person and smoothie bowls have their own benefits. It is a wholesome, healthy breakfast and you can think of various combinations in it. I tried Mango smoothie bowl in mango season combining it with jackfruit and it was a hit in my house. I have even tried breakfast in a jar with overnight soaked chia seeds. So, sharing yet another easy breakfast recipe today. 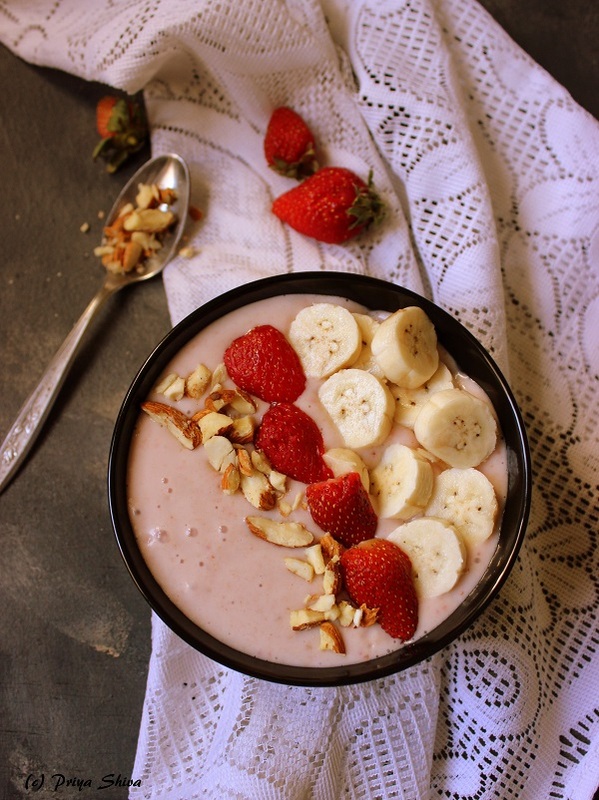 Make Strawberry Oatmeal breakfast Smoothie Bowl and enjoy. Cook oats in a pan with 1 cup of milk for 2 minutes. Let it cool down. Add 6 strawberries, 1 banana, cooked oats, and cinnamon in your blender. Blitz it. Pour in a serving bowl. Garnish with chopped strawberries, banana, some walnuts, almonds and serve. Bananas add natural sugar. So, adjust sugar according to your taste. Wow.. super delicious and healthy option.. a bowlful of goodness. 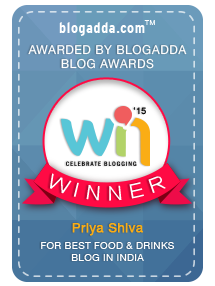 Thanks for good biocompatible taste .and an healthy one.